Still Don't Believe That Clinton Is Waging an All-Out 'Scorched-Earth' War to Stop Obama from Winning the White House? Then Why Is Her Campaign Still Insisting She's More Electable -- Even After Her Gaffe Over RFK's 1968 Assassination Costs Her More Superdelegates? When this blogger warned last Friday that Hillary Clinton's presidential campaign was "transforming itself from a chase for the Democratic nomination into a full-scale 'Stop Obama' movement," little did I realize how quickly Friday's column would prove to be prophetic. My article was online for only a few hours before Clinton touched off a political and media firestorm with her comments evoking the assassination of Robert F. Kennedy 40 years ago next week as her reason for staying in the race for the Democratic nomination. "My husband [Former President Bill Clinton] did not wrap up the nomination in 1992 until he won the California primary somewhere in the middle of June, right? We all remember Bobby Kennedy was assassinated in June in California. You know I just, I don't understand it." That she made the remark at all -- implying that she's staying the race because of the possibility that Obama may become the target of racist assassins -- was disturbing enough. That she said it just days after Senator Edward M. Kennedy (D-Massachusetts) the lion of the Democrats' liberal wing, was diagnosed with a malignant cancerous brain tumor is as tasteless as it is shocking. There was no public comment from the Kennedy family, but the New York Post reported Sunday that privately, they were shocked and outraged. For his part, all Obama would say was that Clinton's remarks were “careless” and that he accepted Clinton’s explanation that she meant no offense. The Illinois senator on Saturday invoked the memory of the slain senator to inspire graduates at a Connecticut commencement. Obama, filling in for the ailing Ted Kennedy and never once mentioning the controversy, instead invoked the Kennedy family's legacy of public service and called on young Americans to follow in their footsteps. Obama’s campaign advisers mirrored the Democratic front-runner's forgiving mood on the Sunday talk shows, saying they were ready to end the discussion. But this blogger isn't about let the matter rest. 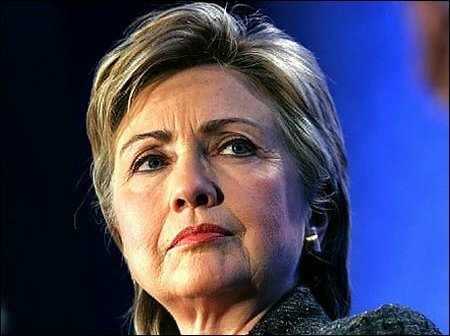 As far as I'm concerned, Clinton's remarks are the strongest evidence to date that the former first lady -- knowing that she has no mathematical chance of winning the Democratic nomination -- is embarking on a determined "scorched-earth" strategy to weaken Obama against Republican John McCain. It's a racially insensitive strategy which is driving an already-deep divide between the Clinton campaign and African-American voters even deeper -- with Clinton fully aware that Obama's safety is of great concern to many black voters, particularly those of Clinton's generation and older who lived through the nightmares of the twin assassinations 40 years ago of Kennedy and Dr. Martin Luther King, Jr. It's no secret that Obama has received death threats, most of them racially motivated, early on in the campaign; the Secret Service began providing round-the-clock protection for Obama and his family in February of last year -- the earliest that any major presidential candidate has ever been granted such protection. But it's also a strategy that is clearly backfiring on the former first lady, as Obama picked up five more superdelegates over the Memorial Day weekend, including a California congressman who switched his allegiance from Clinton. Obama "has proven himself to be a thoughtful, knowledgeable and inspirational leader and will take America in a new direction, which we desperately need," said Representative. Dennis Cardoza, who became the 14th superdelegate to switch from Clinton to Obama. Obama now has 1,970 delegates in the latest Associated Press tally, just 56 shy of the 2,026 he needs to become the first African-American to win a major party presidential nomination. Clinton has 1,779. Two of former rival John Edwards' New Hampshire delegates, State Senator Peter Burling and high school teacher Deborah Nelson, held a news conference on Monday to announce they, too, are backing Obama. Burling told the AP that he and Nelson believe either Obama or Clinton would make a superb president, but it came down to "who can win and who could make a better president." Burling said he chose Obama "because he so clearly understands the American yearning for change. He understands it, he embraces it, and I think he has the leadership to deliver it." Even before the latest superdelegate defections, the Clinton camp was in full damage-control mode, with Clinton campaign surrogates appearing on the Sunday TV talk shows to explain and apologize for her controversial remarks. On “Fox News Sunday,” Clinton campaign chairman Terry McAuliffe tried to put her words about RFK, who was killed when running for president, in context. “She was referring to the time line, how these events have gone into June, it’s happened in the past,” he said. Clinton herself wrote an op-ed column published Sunday in the New York Daily News further explaining her remarks. “I was making the simple point that given our history, the length of this year’s primary contest is nothing unusual,” she wrote. What McAuliffe failed to note that it was a holiday weekend, with many Americans (including this blogger) preoccupied with recreational pursuits and having tuned out the campaign -- not learning about Clinton's remarks until back-to-work day on Tuesday. Clinton’s comments about RFK clearly came as a shock to many of her supporters, but they appear unwilling to abandon her increasingly quixotic campaign -- indeed, the Clinton camp continues to insist that she can win the nomination and steadfastly refuses to accept the cold mathematical reality that the former first lady cannot overtake Obama in the delegate count. They stubbornly continue to argue that after the dispute over Florida and Michigan's disqualified delegates is decided and after Puerto Rico, which holds its primary on Sunday (and where Clinton is favored to win), Montana and South Dakota vote the following Tuesday (where Obama is favored to win), Clinton can surpass Obama in the popular-vote count. So what? It's the delegate count that matters when determining the party's presidential nominee. Both Democratic and Republican party rules say so. The popular-vote count matters more in the November election -- and even then, as demonstrated in 2000, the Electoral College has the last word. It is a telling display of denial of reality and wishful thinking that some Clinton supporters are hoping -- even praying -- for a last-minute scandal to erupt to take Obama down, prompting the party's superdelegates, who are flocking to Obama in ever-larger numbers, to abandon him and vote for Clinton at the party's August convention in Denver. Psst! Hey, Clintonites! This blogger's got a newsflash for you: It ain't gonna happen. And the longer you hold out for that imaginary turn of events, the more you reveal yourselves as being unwilling to face the fact that your candidate is going to lose. You're also revealing yourselves more and more as being motivated by a clear bias against Obama -- perhaps because of the fact that Obama is on the threshold of becoming the first presidential nominee of a major American political party who's black (which was clearly demonstrated in West Virginia and Kentucky and to a lesser extent in Pennsylvania) and who's a member of the post-Vietnam War, post-civil-rights-era Generation X (conveniently forgetting that, at 46, Obama is the same age Bill Clinton was when he was elected in 1992). Most of all, Clinton's supporters are in complete denial of another cold reality: The former first lady is despised by 50 percent of the national electorate -- who have told pollsters repeatedly for more than two years that they will never vote for her in the general election under any circumstances. The principal reason for half the country's dislike of the former first lady? Contrary to the assertions of some Clinton supporters that misogyny lies behind the opposition, the actual cause for the high public distrust of Clinton is that she has repeatedly been caught making misstatements, half-truths, flip-flops and -- in the case of her 1996 visit to Bosnia -- outright lies. A secondary reason: Bill Clinton. The former president has experienced a dramatic fall from public grace since the Monica Lewinsky scandal nearly drove him out of office. Unspoken in the public commentary on the 2008 campaign is an undercurrent of opposition to the former president returning to the White House, even in the unprecedented role of the nation's "first gentleman." Indeed, as the campaign has unfolded, Bill Clinton has proven himself to be more of a liability than an asset to his wife's run for the White House, alienating the Democratic Party's most loyal voter constituency -- African-Americans -- with his racially insensitive attacks on Obama during and after the South Carolina primary in January, his ill-timed remarks on his wife's Bosnia visit and his repeated attempts to compare Hillary to GOP nominee-elect John McCain on foreign-policy matters. The thought of Bill Clinton once again haunting the halls of the White House is simply too much for many Americans to accept -- just as the thought of Walter Mondale, Jimmy Carter's vice president, occupying the Oval Office proved too much for most Americans to accept in 1984. George Santayana warned that "those who fail to learn from the mistakes of the past are condemned to repeat them." It's all too clear, to this blogger at least, that the Clintons haven't learned from history and are repeating the mistakes of past failed Democratic campaigns for the White House. This time, however, the voters have wisened up and are passing their verdict long before the November election.